Canada is a global leader for Icewine production, and 95% of that Icewine is made in Niagara, Ontario. We took a road trip to witness the frigid harvest. Icewine got its start in Canada in the early 1980s. With close to ideal climate conditions (warm summers to ripen grapes coupled with not too cold winters), Ontario is where it’s at for creating Icewine. The appellations of the Niagara Peninsula, Prince Edward County and Lake Erie North Shore boast mostly limestone-based shale, and clay loam. Again, pretty ideal conditions. While about 60 local wineries produce it, grapes for Icewine comprise only about 15% of Ontario’s annual crop. 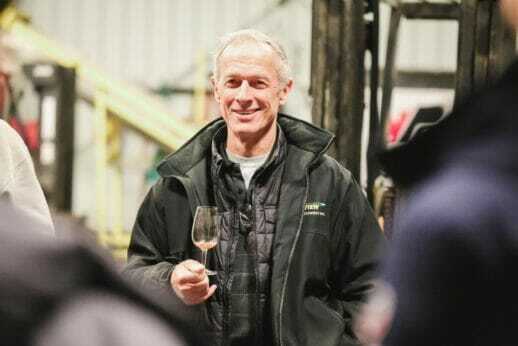 During Icewine season, wineries and grape growers like Trevor Falk of Falk Vineyards, keep a careful watch on the weather forecast, looking for a stretch of temperatures between -10 and -12 °C. This specific range will produce juice in the range of 35 to 39 ° Brix (roughly equivalent to the percent sugar in the juice). 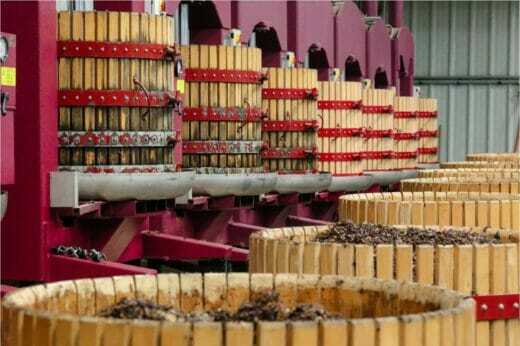 Typically, a period of at least 6 hours is needed to harvest and press the grapes – and it’s usually an overnight job. Still, Trevor keeps on smiling. 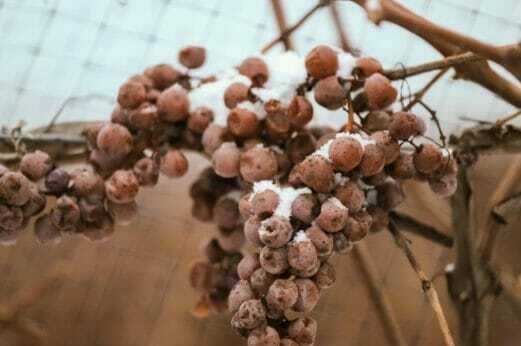 During the time between the end of the growing season and harvest, the grapes dehydrate and the juices are concentrated and develop the characteristic complexity of Icewine. The typical varietals used for Icewine in Ontario are Vidal, Riesling and Cabernet Franc. They thrive here. Once the grapes are harvested, they are pressed in small hydraulic presses under higher pressure than is normal for grapes harvested during the regular season. 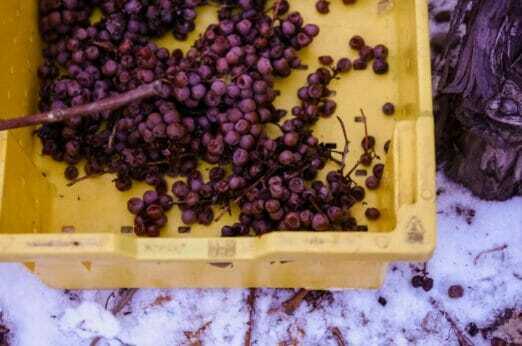 That’s because these grapes are frozen; most of their mass is water and is left behind as ice in the press. 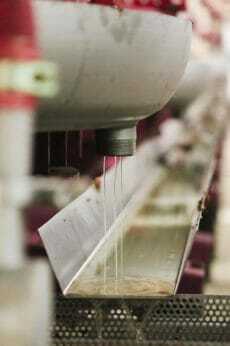 Only a small amount of concentrated juice is extracted. Pressed while still frozen, the grapes yield a sweet concentrated juice that is incredibly flavourful; almost like a nectar. Look at how thick that looks. Imagine if grape juice tasted like cotton candy, sunshine and rainbow ponies all wrapped into one delicious gulp? That’s what this freshly pressed Icewine juice tastes like. “Enjoy every drop,” says Falk Vineyards patriarch, Bill Falk. “That glass is worth about $8 of Icewine,” he winks. Upon seeing the operation first hand, I look forward to educating myself further by receiving your news letter.